These days, Chaseholm Farm is a sibling effort in family farming. Sarah manages the dairy herd and their grazing lands, while Rory turns the milk the cows produce into delicious cheeses. We are third generation farmers whose relationship to the land is built on principles of sustainable agriculture. Sarah stopped feeding grain in 2015. The farm was certified Organic and 100% Grass-Fed in 2017. The original motivation for raising dairy animals on an all-grass diet was to try and reduce inputs and longterm expense. 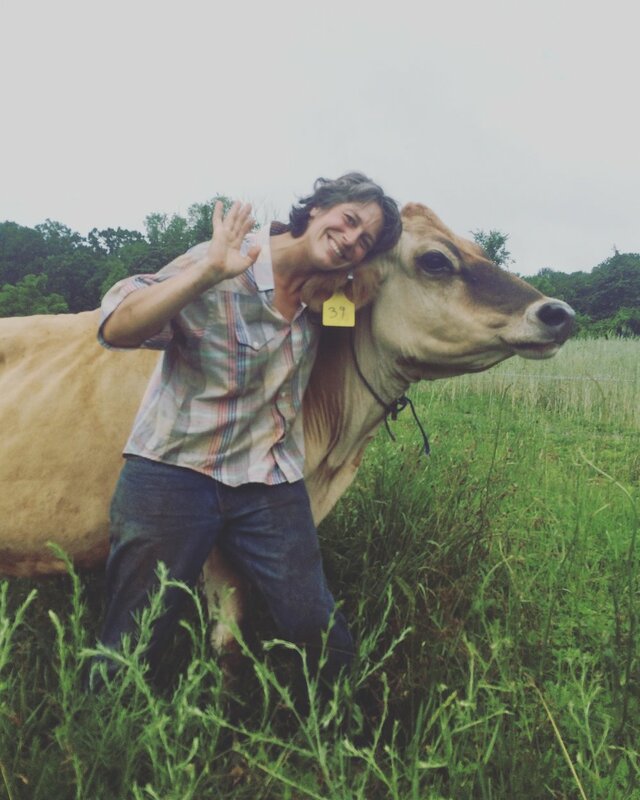 With each transition season, Sarah's perspective has deepened into an appreciation of the complex management puzzle grassfed farming presents - and the lifetime of learning - in front of her. She is working towards selecting for bovine genetics compatible with her management system and the building of vibrant, productive soils. The farm is guided by Holistic Management decision making principles in both farm system and business management. Jordan Schmidt has been instrumental in building our home here. In the early years she grew vegetables and herbs on the property, but has since pivoted to focus on her nutritional therapy practice, Remedy Method. She brings her knowledge of the nutritional and mineral requirements of mammals home to help us puzzle through problems that crop up in the dairy herd. Sarah Chase and Jordan Schmidt were married on the farm in 2016.